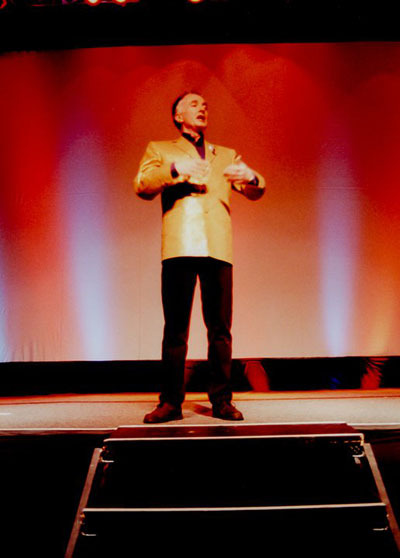 It is even more poignant for me to see how the Celebrations have lasted and grown since I was leading the charge for the very first Celebration way back in 1999! Having relaunched the Official Lucasfilm/Star Wars Fan Club in 1987 and creating the Star Wars Insider magazine, I was asked by Lucasfilm to launch the first of these amazing events celebrating Star Wars. As my 100 + fan club crew worked double duty to run the fan club, publish the Insider and organize the Star Wars Celebration, we brought on my good friend and Star Wars legend, actor Anthony Daniels, to emcee the main stage. He flew to Denver two weeks before the event. From the very beginning, Anthony was a critical member of the team in developing Celebration I from the ground up. 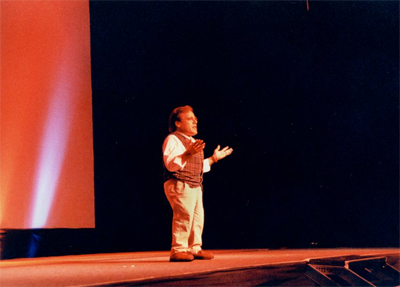 He was much more than just the man behind C-3PO, he stepped in to help create the stage show, offered sage advice on every aspect of the event and, little did he know, was instrumental in saving the event from being cancelled. Colorado is a beautiful state and has so many activities to offer. Its capital, Denver, is truly the “Queen City of the Plains.” It was a perfect setting for the first Star Wars Celebration. All the plans were set, advance tickets sold, the location, the Wings Over the Rockies Air & Space Museum, had been reserved, advertising had been running for months, licensees booked to show off their new Episode I products, cast members’ flight and hotel reservations set. 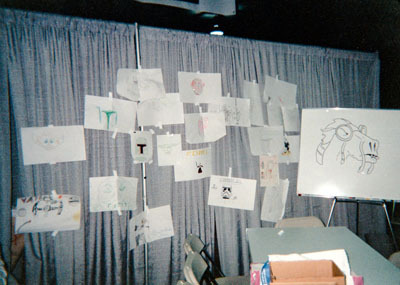 Organizing and planning for the event had been a full time job for almost a year when the unthinkable happened. Two weeks prior to the Celebration, in Littleton, Colorado, a suburb of Denver, the terrible shooting spree at Columbine High School took place. 12 students and one teacher were killed and 21 other students were injured. It was one of the worst school massacres in US history and shocked not only the country but the world. All eyes were on Denver and the media stormed in. It goes without saying that a black cloud had formed over Colorado and it seemed no one was in the mood for a celebration of any kind. 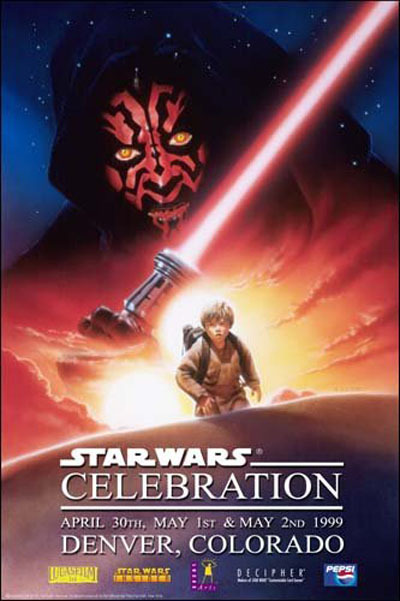 Just days after this horrible tragedy that deeply affected the entire country, Lucasfilm called and said, after much soul-searching and deliberation they had decided to cancel the Star Wars Celebration. They felt that the city of Denver and Star Wars fans would not feel like celebrating after such a horrible, tragic event. And they had every reason to feel that way. However, as a lifelong resident of Denver and a Star Wars fan I was adamant that what the city of Denver needed more than anything, two weeks later, was a bit of a reprieve from all the grieving and that Denver needed the Star Wars Celebration to happen. By cancelling the event, we were allowing the two killers to continue their evil intent and horrendous damage by denying the thousands of fans who had already made their plans to be in Denver for Celebration. And the city needed this shot in the arm, this bright spot to help pull it out of the darkness it had been facing. Even the mayor of Denver got on board and wrote a letter to Lucasfilm asking them not to cancel the event and how positive and healing it would be for the city’s spirit. So Anthony and I got on the phone with the top brass of Lucasfilm and explained our reasoning as to why the event should go on. During this long call, Anthony and I worked as a tag team explaining why it would be sending the wrong message to cancel the event. In addition, we all agreed that this would be an opportunity to raise money for the victims of the Columbine tragedy and allow Star Wars fans the opportunity to pay tribute to them. The heads of Lucasfilm said they would discuss it with George and get back to us tomorrow with an answer. Needless to say, I had a sleepless night wondering if all the work that had gone into the Celebration had been for naught and that Star Wars fans all over the world who had made travel plans to come to Denver to celebrate Star Wars, would be let down. The next day arrived and Anthony and I met in my office for the call with Lucasfilm. My heart was in my throat! They had discussed it overnight with George, explained why the event should go on and after a long discussion they all agreed to move forward with Celebration in the spirit of remembering the victims of Columbine. One of those victims, Steven Curnow, 14, was a Star Wars fan. 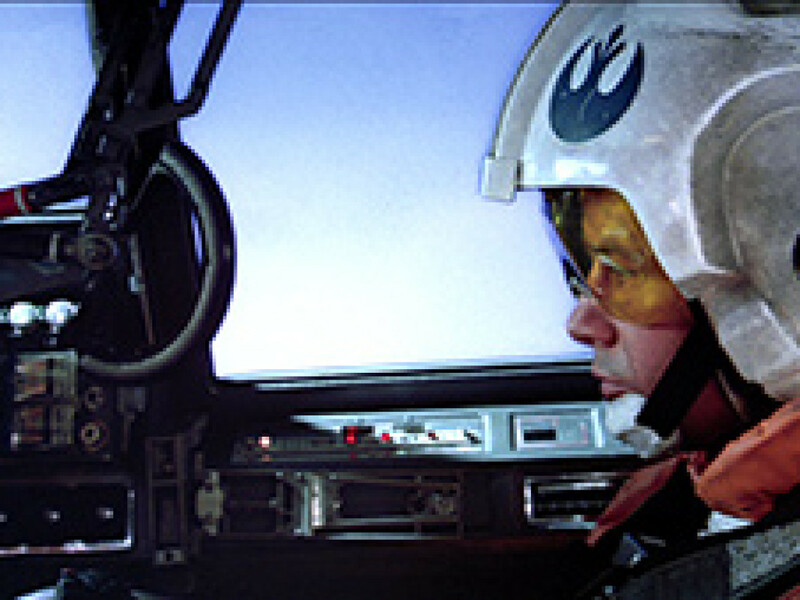 He was said to have watched the Star Wars movies so often he could recite the dialogue and was looking forward to attending the Celebration. 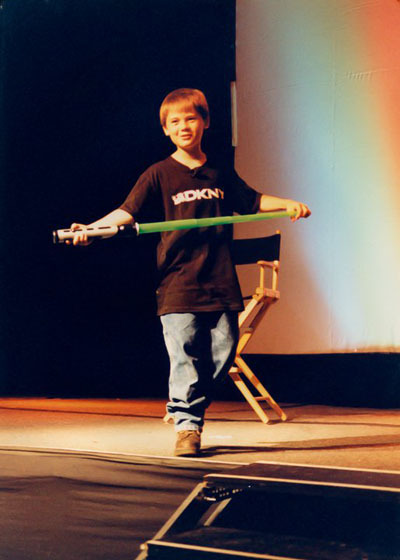 As you now know, Star Wars Celebration I went forward and took place in 1999. I opened the event with a moment of silence for the Columbine victims and then we were all transported to that galaxy far, far away. Sometimes out of tragedy emerges the best in people and Star Wars fans know no bounds when it comes to generosity and caring. During the three days of Celebration we raised tens of thousands of dollars for the victims from fan donations, which was matched by Lucasfilm and Hasbro. Despite the worst rain for Denver in over 100 years, the fans had a great time those three days and the event was a healing moment for the city of Denver. Mission accomplished. Now, 13 years later, terrible tragedies still happen. The recent Century 16 movie theater shooting in Aurora took place not but 15 minutes from the site of the first Star Wars Celebration. But Star Wars continues to bring hope and joy to millions of fans around the world and for those of us here in Denver, Colorado. 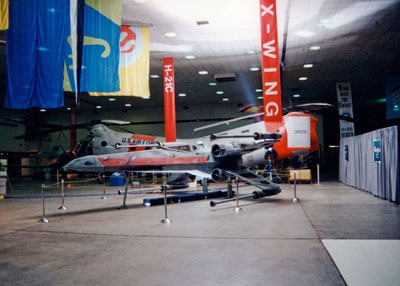 In fact, one of the legacies of Celebration I is that the life-size X-wing that Lucasfilm sent out for the event has been graciously given permanently to the Wings Over the Rockies Air and Space Museum to display alongside their real life World War II fighter planes. When you walk in the door, it’s the first thing you see (and I’m told by museum staff the most popular)… it is even signed now by Harrison Ford who appeared there for a fundraiser. And the local chapter of the 501st and Rebel Legion hold Star Wars gatherings at the museum for fans of all ages to enjoy. Thanks to Lucasfilm and the efforts of my fan club team and the one-of-a kind Anthony Daniels, Star Wars helped heal the city of Denver, Colorado from one of its worst tragedies…and that legacy continues today!